Life is a journey where you learn everyday. Not just what we read but every experience teaches us. I'll try to capture that. This day the swim was totally different. I could barely make it to the other end in a straight line. The difference was I simply could not swim with my eyes open. I had to close my eyes. The moment I open my eyes they were smarting way too much! I somehow wanted to give it a persistent try. So I tried six laps. On all occasions I was swimming all over and on two occasions I bumped in to another swimmer. (Dont't think he was amused at all!). Doesn't matter how focused I was to make it right, it was a futile effort. At times in life you need necessary focus and guidance to achieve things or reach a destination. Sometimes we feel that we are on the right direction. But we end up reaching somewhere totally different. Best part is throughout we think we were on track. There are millions of swimmers who could swim without any goggles or any other supporting equipment. Unfortunately a 'self made' swimmer like me, who took up swimming in my mid twenties, need goggles to swim in a straight line. Goggles allow me to focus and see the path beneath me. It allows me to see the bottom of the pool so I could could focus on a line between three floor tiles and follow that path. That allows me to reach the other end in a straight line. As a student of life I'd like to learn from every experience. The blog is dedicated to capture those experiences and share the same with like minded people who value reflecting upon the same. Readers are invited and encouraged to share their views on blog articles. Those views expressed by readers will enrich the content make an open discussion. Thus the learning evolves. 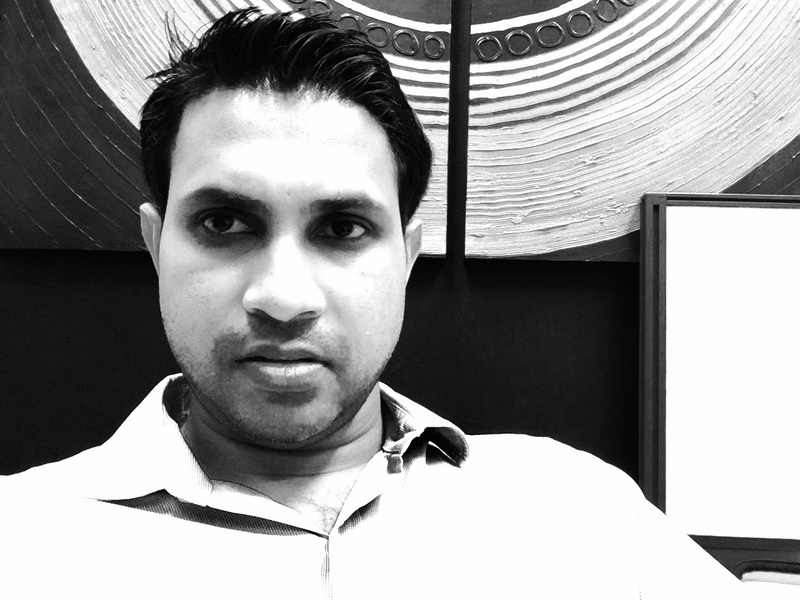 A Chartered Marketer by profession Priyanga obtained his MBA from the Postgraduate Institute of Management University of Sri Jayewardenepura. A product of St. Benedicts' College, at present he works as a Senior Sales Manager handling Sri Lanka and Maldives for one of the Fortune 100 technology companies. His expertise include general management with P&L responsibiltites, sales and marketing, organizational change, change management and softskills training. An avid reader both in printed format and internet, Priyanga is passionate about people development. He is a visiting lecturer on Leadership, Strategic Marketing Digital Strategy, Managing Corporate Reputation and Change Management for several Postgraduate and Diploma programs in Sri Lanka.